Beware! 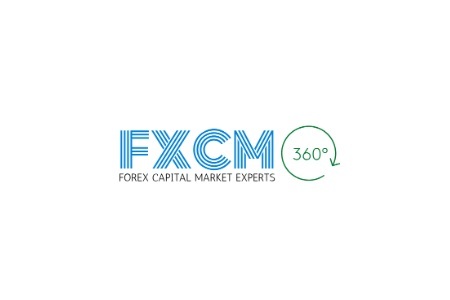 FXCM360 is an offshore broker! Your investment may be at risk. FXCM360, claims to be based in Germany, but as it turns out it is yet another unregulated, offshore broker, run by a company that was recently flagged by the Financial Conduct Authority (FCA) in the UK for trying to mislead customers with a website that was basically a clone of a properly licensed UK broker. Otherwise FXCM360 says to be offering a good variety of forex pairs and CFDs on various asset classes like indices, commodities, stocks and even bitocins with a choice of 6 account types. All of that comes with a downloadable trading platform called Veta Trader and actual spreads starting as high as 5,3 pips, which is totally unacceptable – all trades are levied with hefty commission – 50 USD per standard lot traded, which basically adds another 5 pips to the spread. As we noted FXCM360 is presenting itself as Munich based broker, but actually it has noting to do with Germany. Needless to say but they are not regulated by BaFin – the Bundes financial regulator – as they should be if they were really doing business there. Actually FXCM360 is owned by GLOBAL MARKETING ONLINE LTD., which is registered in Dominica and was recently blacklisted by the Financial Conduct Authority (FCA) in the UK for running a clone website of a licensed UK broker and trying to mislead customers that they work for that legit company. Bear in mind that trading with unregulated brokers has always been extremely risky as most often than not such brokers are involved in scam activities. Basically your funds are secure solely with brokers holding licenses from official institution such as BaFin in Germany, FCA in the UK, the Cyprus Securities and Exchange Commission (CySEC) or the Australian Securities and Investments Commission (ASIC). FXCM360 accepts payments in a variety f ways, including bank wire transfers, VISA, MasterCard, Skrill, Neteller, WebMoney, UpayCard, PayPal, bitcoins and CashU, which is a payment method popular throughout the Arab world. FXCM360, however offers trading bonuses, which is a highly controversial practice, because of the additional withdraw conditions those bonuses always are linked to. For example, if you accept a trading bonus by FXCM360 you will have to trade your net deposit at least 5000 times before you will be allowed to withdraw. Otherwise the minimum deposit requirement with FXCM360 is set at 500 USD . The story usually starts with some irresistible offer for fast and easy returns with a small and “completely risk free” investment, which you will probably see on the social networks like Instagram or Facebook. And if you follow the link you will land on one of the so called robo scam websites like Crypto Revolt and Bitcoin Evolution where you will be asked to fill a simple registration form with your e-mail and phone. And if you do that, you will be transferred to the web page of a unregulated, offshore broker, where finally you will have to deposit about 250 USD. Besides, do not be carried away by the success of your initial trades. In truth your account will simply be manipulated so that on a latter stage you will be more easily convinced to deposit a larger sum. And at the same time you will be receiving phone calls as well. It will be your “senior account manager”, who will try to convince you exactly this – if you want to make some real cash you will definitely have to invest more – at least 10 000 USD. And chances are you will not realize you have been scammed until the very moment you decide to withdraw some of your funds. Then it will suddenly turn out this is not possible because of some minimum trade volume requirement, linked to the welcoming bonus you have so carelessly accepted, when you have opened your trading account in the first place. The excuse scammer would use might certainly be different but the end result will always be the same – you will not see your money again. Immediately file for a charge back with your credit card company. The good news here is that recently both MatsrCard and VISA prolonged the maximum period in which you will be allowed to file for a charge back to 540 days. Also if scammers have tricked you to disclose your personal banking details, be sure to immediately change your online banking password and cancel your credit card. Finally, do not trust the so called recovery agencies. Those guys will not help you in anyway, but will simply charge you some fees in advance an basically that is how the story will end.